Our list of games like Elsword features other action orientated MMO role playing games that let you battle in PvE and PvP environments. 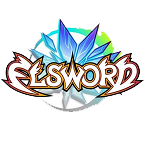 Elsword is a unique MMO with skill based mechanics that has been around since 2007 (launching in Korea). While the game is a side scrolling game it uses a unique blend of 2D and 3D elements to deliver one of the best in the 2.5D MMO genre. With mechanics that have a large focus on skill and timing being a rarity in this genre it is a key part of the games long term success. It allows dedicated players to gain an edge in combat rather than being a game solely about numbers (stats and equipment). With strong PvE, PvP and guild features behind the game the community continues to grow into one of the largest in the industry and will no doubt be around for years to come. The games like Elsword here focus on other 2.5D side scrolling games and MMOs that have skill based elements in their core gameplay. Just like Elsword you’ll find that these games are free to play and have equally strong communities behind them.